After the 2016 election, Dena Baldwin vowed to resist the new administration with all her might. To that end, she creates a Facebook group called Resistance USA. Fourteen months later while at an organized demonstration, she’s shot and killed by a right-wing extremist. However, Dena’s mother is convinced there’s a deeper conspiracy behind her daughter’s murder. Now it’s up to Chicago PI Georgia Davis to discover the truth. Meanwhile, Georgia is blindsided by the return of her estranged mother, which stirs up bitter resentments. This timely thriller addresses social media fiefdom, corruption in Washington, and the current divisive political climate. 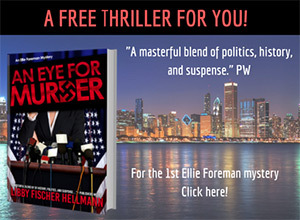 While Hellmann (War, Spies & Bobby Sox, the Ellie Foreman series) dives headlong into the political quagmire, readers should not be put off by the political context. Georgia’s complicated private life adds depth to the smart, multi-layered plot, which perfectly exemplifies our modern society. 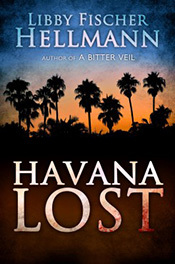 VERDICT: This fifth installment of the series (after NOBODY’S CHILD) is a cathartic novel for Hellmann. However, fans of all political stripes will enjoy this combination of intricate family relationships and realistic crime fiction.